The Good Wife, starring Julianna Margulies, will return to CBS on Sunday night, and things are about to get crazy for Alicia. CBS released a brand new preview for the mid-season premiere, and Alicia will lose her composure. Her dishes should hide now. Alicia will also have to deal with Eli’s presence on the bus. Check out the preview for the next episode below. Are you a fan of The Good Wife? Tell us what you think. 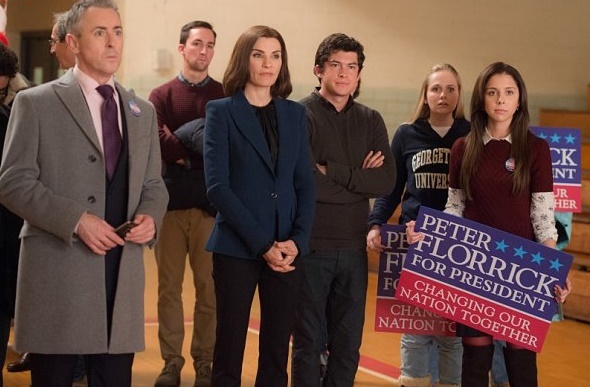 Did The Good Wife Have a Satisfying Last Episode? Quite an episode! Really good! I missed the Sunday show!! How can I get it , watch it??? This promo is for next Sunday’s show. Good Wife wasn’t on last night. YAY GOOD WIFE IS BACK. ABOUT TIME ALICIA LOST HER COOL. ALL THE PUSHING EV1 DOES. ELI IS THE WORST NEXT TO THAT JUDGE IN BAIL HEARINGS. HE’S A JERK. I love a good wife it is an excellent show well written and it keeps you on the edge of your chair all through the night it’s very well planned out and I just love the show and everybody in my family.